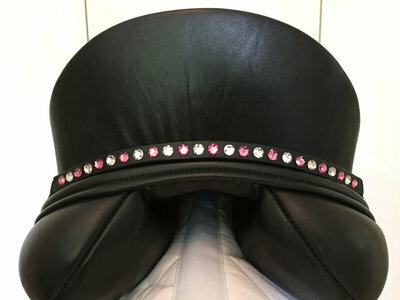 Superb saddle jewel with genuine Swarovski crystals. .
Removable saddle jewelry from Swarovski and leather. Conceived, designed and handmade by Saddle Jewels. Intellectual Property Rights EUIPO 002804245-0001. Counterfeiting is taken.